Who’s Behind Anti-Israel Bomb Plots? 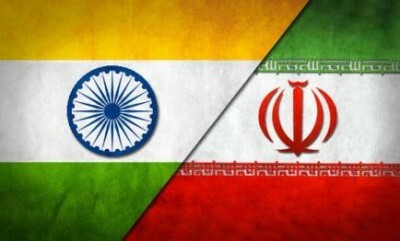 Washington, DC – The magnet bomb that exploded on an Israeli Embassy diplomat’s car in Delhi on February 13 seemed on the surface to be consistent with an Iranian-sponsored action. The evidence surrounding that bomb itself indicates a series of decisions by the terrorist team that is fundamentally inconsistent with an Iranian-Hezbollah revenge bombing. The preliminary forensic analysis of the bomb itself had estimated it to be 250-300 grams of explosives, but sources in the investigation later reduced the estimate to 200-250 grams. 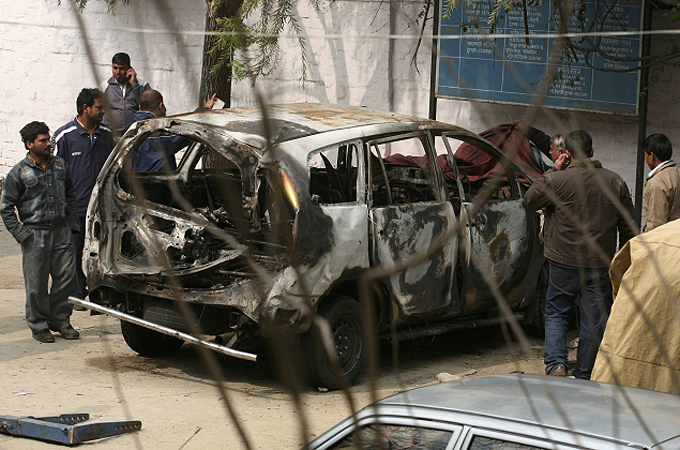 The 250-gram bomb that exploded near the Delhi High Court in May 2011 did not even damage the car under which it had been placed and was characterised by Police Commissioner B K Gupta as a “low-intensity and mild blast”. Yehoshua-Koren did not get out of the car before the bomb went off, and suffered what the Israeli Defense Ministry called “moderate” wounds – evidently from metal fragments from the rear hatch. She was nevertheless able to exit the car and get to the Israeli Embassy without any assistance. Israel claimed that the evidence links the Delhi bombing to other alleged Iranian-Hezbollah plots in Tbilisi and Bangkok. Deputy Prime Minister Moshe Yaalon declared, “It is the same pattern, the same bomb, the same lab, the same factory”. That information led investigators in Delhi to conclude that the operations in Delhi and Bangkok were “unrelated”. Indeed, it was Israel, not Iran that stood to gain politically from the terrorist car bomb in Delhi. Israel was well aware that a terrorist bombing in Delhi that could be blamed on Tehran was a potential lever to change India’s policy toward Iran. As an Israeli official told the Wall Street Journal, if India were to adopt Netanyahu’s position that Iran was responsible for the bombing, it would take the India-Iran relationship to “a whole different level”. The Israeli letter referred to an alleged Hezbollah terror plot against Israelis that had been broken up in Bangkok in January. But the idea of a Hezbollah plan to kill Israelis in Thailand had come only from Israeli intelligence – not from any local sources. The Thai police detained Hussein Atris, a Swedish-Lebanese, in January only because Israeli intelligence officials had told them they “suspected” that he and two other Lebanese, whom they claimed were linked to Hezbollah, might carry out terrorist attacks at tourist sites popular with Israelis. After the Bangkok explosion, the Israelis renewed the claim of an Iran-Hezbollah terror threat in Bangkok, alleging that the bombs found in in all three capitals in mid-February were “exactly the same kind of devices”. But we now know that was not the case. We may never be able to establish with certainty what happened in Delhi, Bangkok and Tbilisi earlier this month, but the evidence that has come to light thus far doesn’t support the widely accepted notion that Iran and Hezbollah were behind it. That evidence is consistent, however, with a clever Israeli “false flag” car bombing operation that would not injure the passenger but would serve its broader strategic interests: dividing India from Iran and pushing US public opinion further towards support for war against Iran.